Two fully expanded and updated resource guides for writers at all levels of experienceWriting for the stage and screen presents artistic challenges to aspiring dramatics everywhere. Through practical, proven methods, playwright and poet William Packard leads readers past personal and professional obstacles to discover dramatic success.Whether advising readers on the best use of action and on-stage visuals or providing guidelines in effective development of character, dialogue, and plot, The Art of the Playwright offers an insightful and comprehensive introduction to the craft of writing plays. 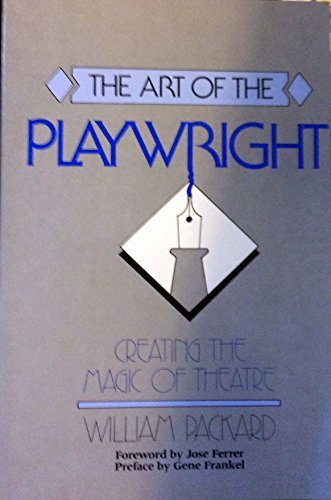 In addition, writers will find an extensive and invaluable listing of theaters, funding sources, writers' colonies, contests, and magazines that publish plays. The book also traces playwriting through the centuries, devoting special attention to the Greek tragedians and the comedies, tragedies, and histories of Shakespeare.